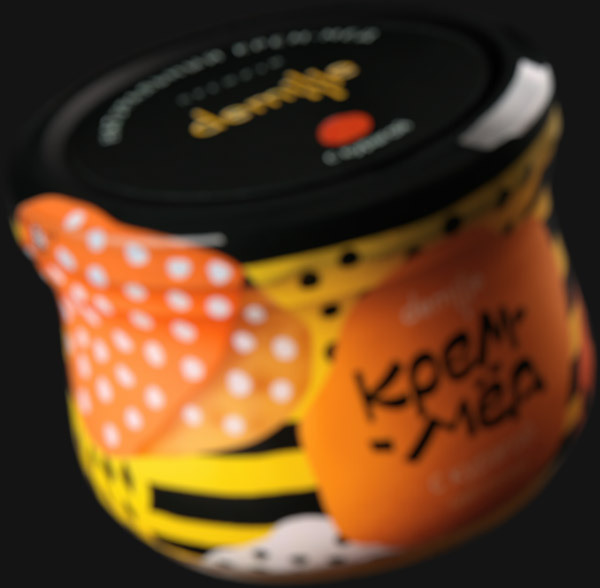 to create beautiful packaging for a jar of creamed honey. 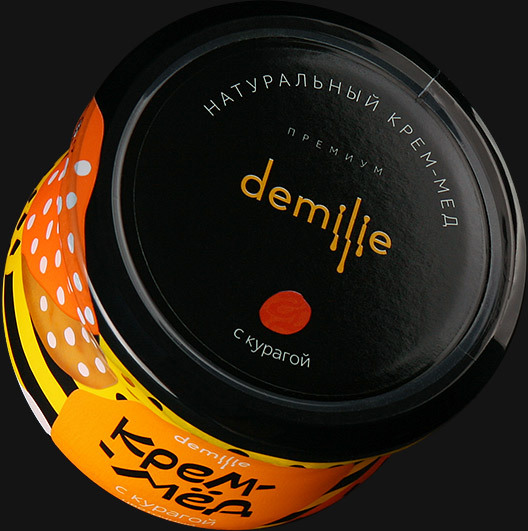 Demilie uses a special technology to whip honey giving new look and taste to the traditional product. 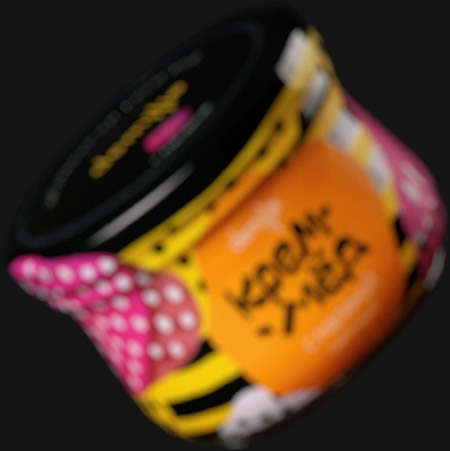 Usually, the colorful jars of creamed honey are sold individually with no additional packaging or in boxes of six. 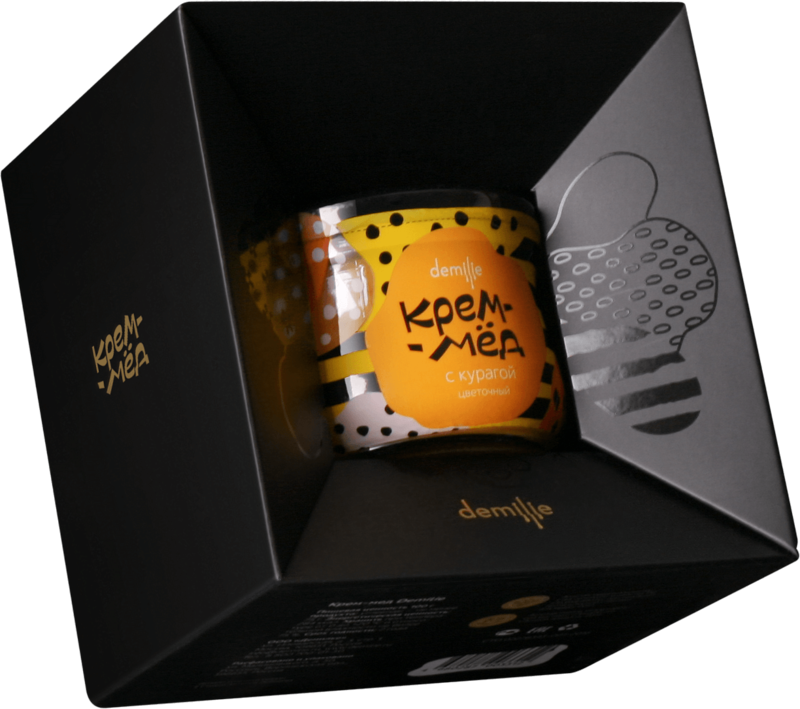 For occasions when the honey is presented as a gift, a special box that resembles a picture frame and makes the dessert look like a work of art was created at the studio. 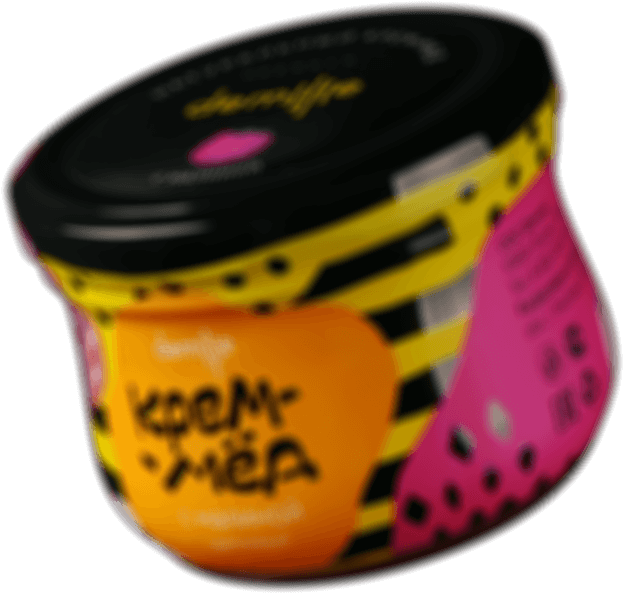 The jar’s bright and saturated colors provide a nice contrast to the box’s reserved graphics and reflect on gloss surfaces when looked at an angle. Packed in the elegant box, Demilie deserts are a gift that is pleasant to give and receive.